A Winnipeg shelter is bringing back its mobile outreach service in the wake of a woman's death in the bitter cold over the weekend. "The fact that we've already had one death is prompting us to move quicker," said Rick Lees, executive director of the Main Street Project. "It's very sad." 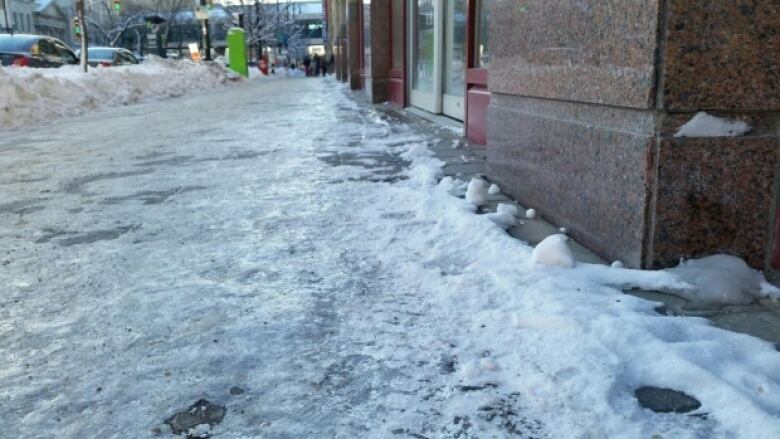 Winnipeg police said cold weather may have been a factor in the death of a 53-year-old woman who was found unconscious on the ground in the 300 block of Portage Avenue early Sunday morning, after a night when the wind chill dropped to –32. The Main Street Project used to send a van of workers around city streets to give out warm clothing, food and shuttle homeless people to shelters, among other services. Funding was cut about six years ago, Lees says, but the organization has been working with the Downtown Winnipeg BIZ since October to secure funding again. Lees estimates it will cost about $150,000 this year to cover program expenses. The Main Street Project doesn't yet have that money, but they put the van back on the road Monday anyway. 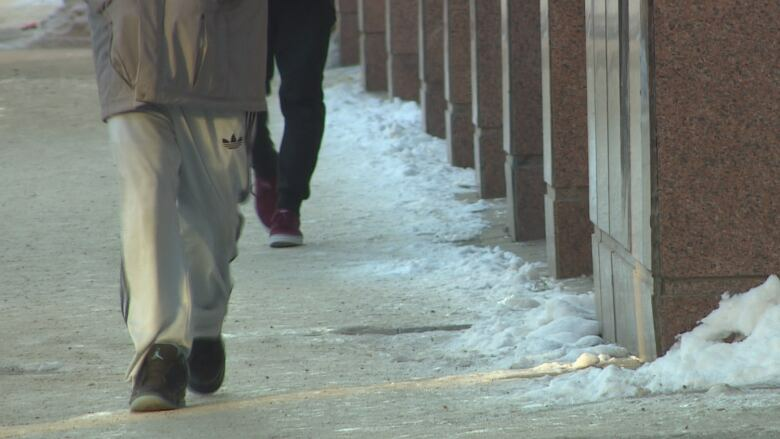 The death and cold conditions over the weekend underscore the need for the mobile program, Lees said, because workers are specifically watching out for people that are at-risk or in distress, often at night. "Winnipeg has some pretty severe conditions and our homeless populations are most vulnerable, especially now as we head into winter," Lees said. "I think it can be [life or death], particularly when we hit the ... temperatures like we saw last week in Winnipeg." Siloam Mission CEO Gary Corbett says he's deeply concerned about the men and women turned away during the bitterly cold nights when there's not enough space in Winnipeg's emergency shelters. Siloam Mission had to turn shelter-seekers away on Sunday, the same frigid day a woman was found dead on Portage Avenue. "It just broke my heart when I heard about it, I checked this morning and thankfully she's not one of our community members," said Siloam Mission chief executive officer Garry Corbett. "Anytime somebody dies that way it's a horrible thing." 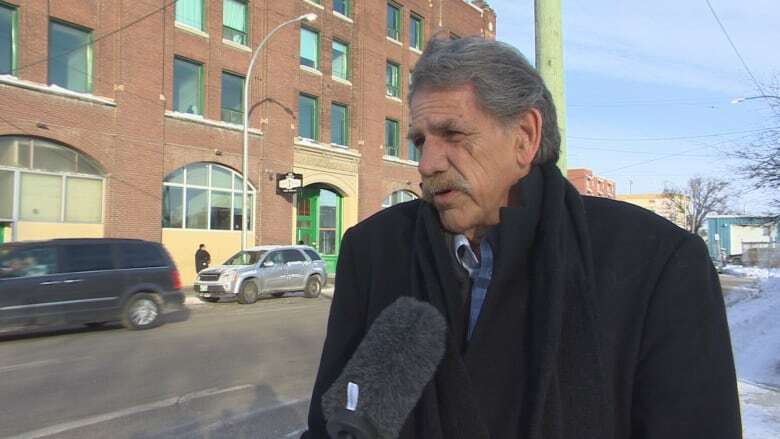 He said the homeless shelter has been busier than ever after a bitterly cold weekend in Winnipeg, and the facility is running out of space. "Last night we had to turn away close to 30 people from our emergency shelter," Corbett said. "These are men and women who came here and we just didn't have the room for them. "I'm always concerned about what happens to our men and women that we turn away." The circumstances surrounding the 53-year-old's death are not yet known, but emergency crews told CBC News they responded to multiple calls of people in distress from the cold that night in the same area. The woman's identity has not been released but her death has left the homeless community in Winnipeg devastated. Corbett said there's a shortage of space in emergency shelters across the city as more people use the services during the winter months. Corbett said the lineups outside Siloam Mission have been getting longer this week after temperatures plummeted. "It could be a day like today when they're standing out there for 45 minutes to an hour waiting to get inside for a meal," Corbett said, adding the shelter has seen a 17 per cent increase in two years in the number of people who use its services. "So far this year it's up at least five per cent over last year, so we're projecting it could be up to 20 per cent by the end of the year." Other homeless rights advocates say there's a growing need for more high-support housing for people with mental health issues. "The population that we're all working with here is a very high-needs population that requires a very high level of support," said Marion Willis, the founder of St. Boniface Street Links. "These are individuals who have many overlapping disorders." Willis also runs Morberg House, a 12-bed homeless shelter in St. Boniface for men. Despite being only for men, Willis said she's seeing more women come to the door. "Addiction may be part of it but often there's mental health issues attached too," she said. "Last week we had three women looking to seek shelter and for each one of them we had a very difficult time finding resources for them." Willis said she'd like to see more shelters that offer specific services for people with mental health issues. "We're still working in a system that is very broken."